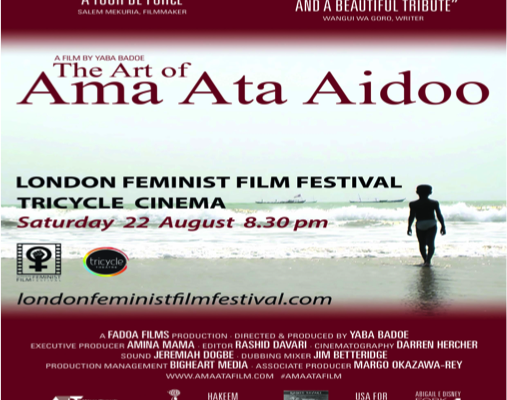 The Art of Ama Ata Aidoo is a documentary that celebrates the acclaimed Pan-African feminist, poet, playwright and novelist, directed by Yaba Badoe. Art celebrates her contribution to Africa’s Renaissance by charting her creative journey in a life spanning 7 decades from colonial Ghana to it’s era of tumultuous independence to present day. The film follows Aidoo as she returns home to her ancestral village in the Central Region of Ghana, launches a collection of short stories in Accra, and travels to UC Santa Barbara to attend the premier of her play Anowa, a seminal work about the slave trade. Emerging Perspectives on Ama Ata Aidoo, ed. Ada Uzoamaka Azodo and Gay Wilentz. Trenton: Africa World P, 1999. 481 pp.